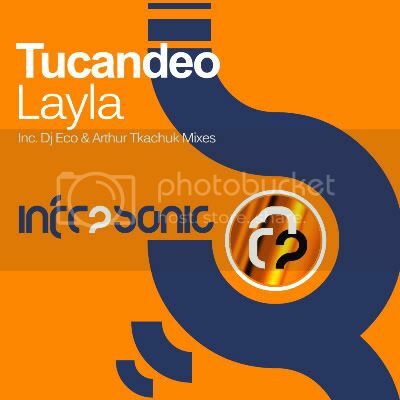 Thread: Tucandeo - Layla [InfraProgressive] Out Now! Our next release on InfraProgressive come's courtesy of up and coming Irish duo Tucandeo. Fast becoming favourites amongst the Infrasonic fans the guys serve up another superb slice of progressive trance this time round. Layla struck a chord with us instantly here at Infrasonic HQ with its warm silky pads and dreamy melody. The guy's have really found a style that they excel in over the last few months and once again deliver a fine production that ticks all of the right boxes. Heading the package is that man again Dj Eco. 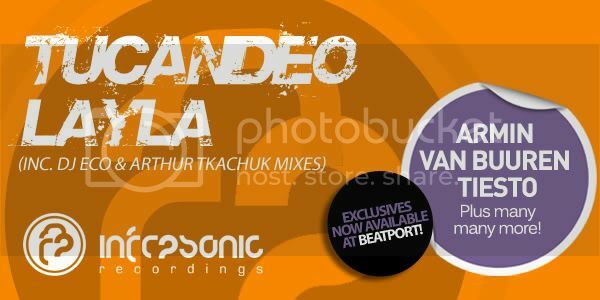 Now becoming a familiar face on both our trance imprint and InfraProgressive he delivers another quite brilliant remix. Completing the package is another of our up and coming producers who we have high hopes for in 2010 Arthur Tkachuk. The Aussie producer adds his own unique stamp on proceedings with his very slick groovy interpretation which sure to get a dance floor moving! Essential package for the summer months!